Hello, everyone. I wanted to draw your attention to our new Tank of the Month. Please enjoy. We thought it would be a good idea to share a great thread that helps answer some questions about fish compatibility for your new saltwater fish tank. PLEASE, check out your intended fish purchases here first! Greetings all! 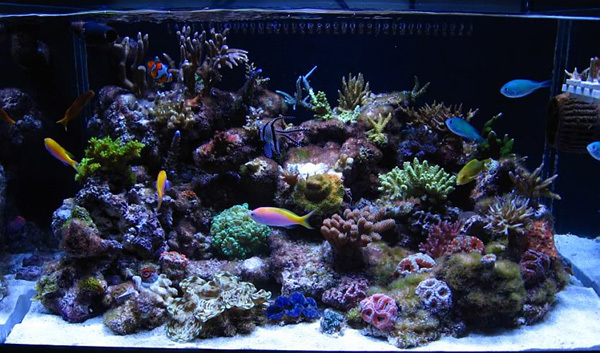 Welcome to our first installment of our new look at Reefkeeping's blog! In lieu of all of the changes that we are going through with the magazine, we decided to try a new approach for a while. We will be doing a blog style publication until we get things squared away with the magazine itself. In this new approach we will be making frequent blog entries of some of the new and exciting happenings with the hobby. We hope you like the new look and hope you enjoy reading. We thought we would share a couple of threads that might help answer some questions about the care of your zoanthids. We see threads pop up all the time asking these very questions. Join us by reading and commenting in the current Thread of the Month linked below.